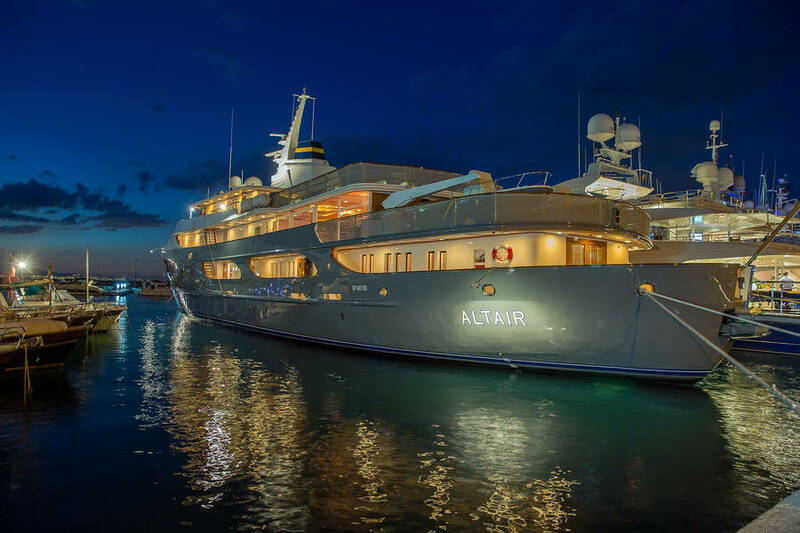 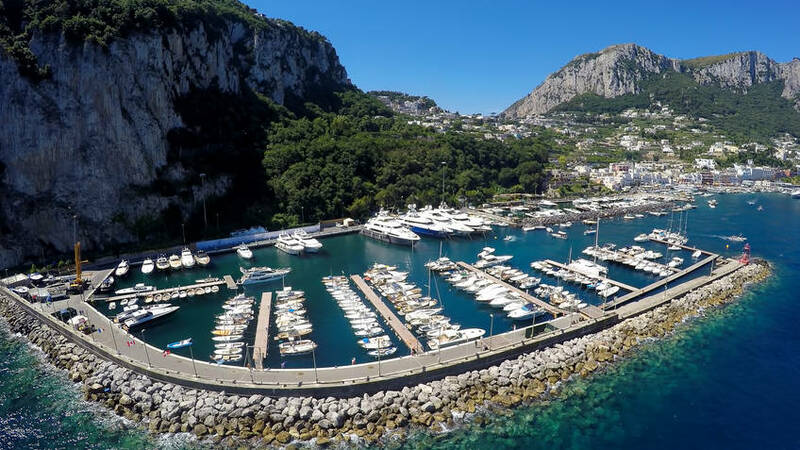 You can feel the magic of Capri as soon as you drop anchor in the Port of Marina Grande, where the deep blue water, the dramatic craggy coast, and the festive resort atmosphere all combine into a perfect example of Italian "Dolce Vita". 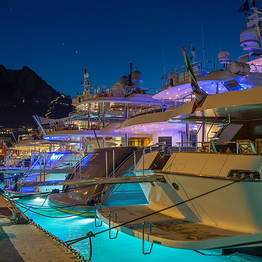 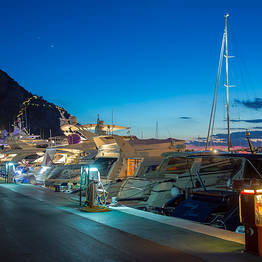 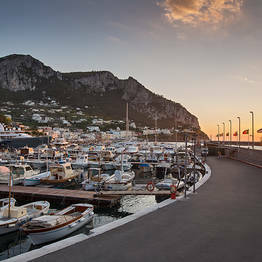 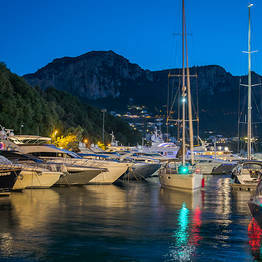 The Marina of Capri, adjacent to the commercial port, welcomes visitors to Marina Grande on the northern coast of the island. 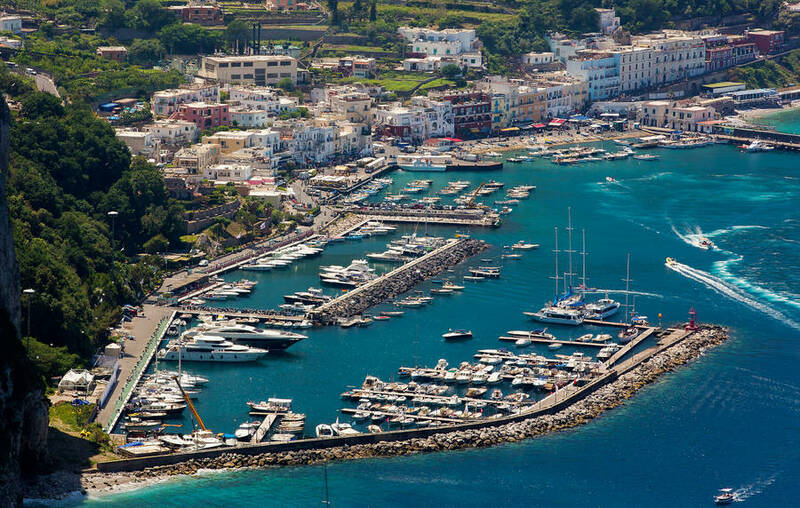 Here the sea currents are always manageable: the marina is tucked into a natural cove sheltered from the wind and protected by two manmade breakwaters. 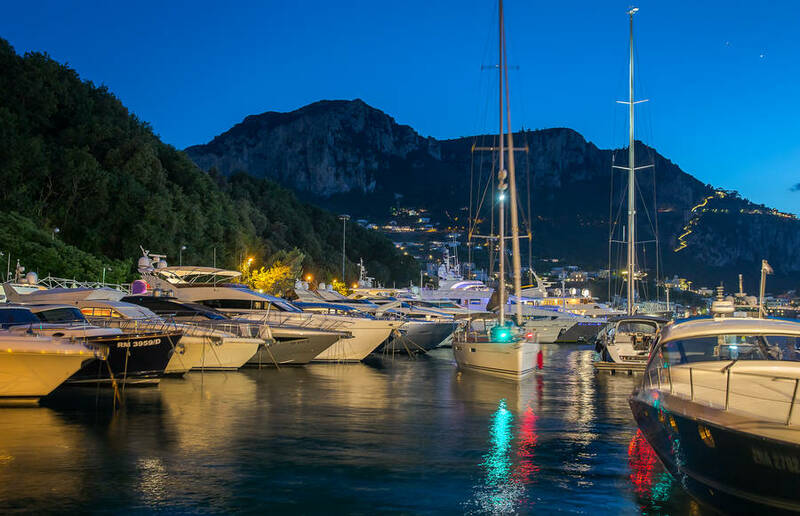 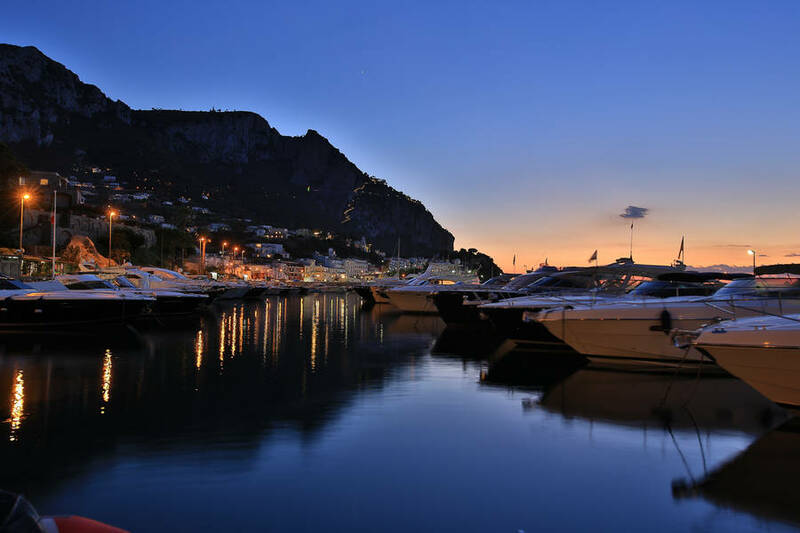 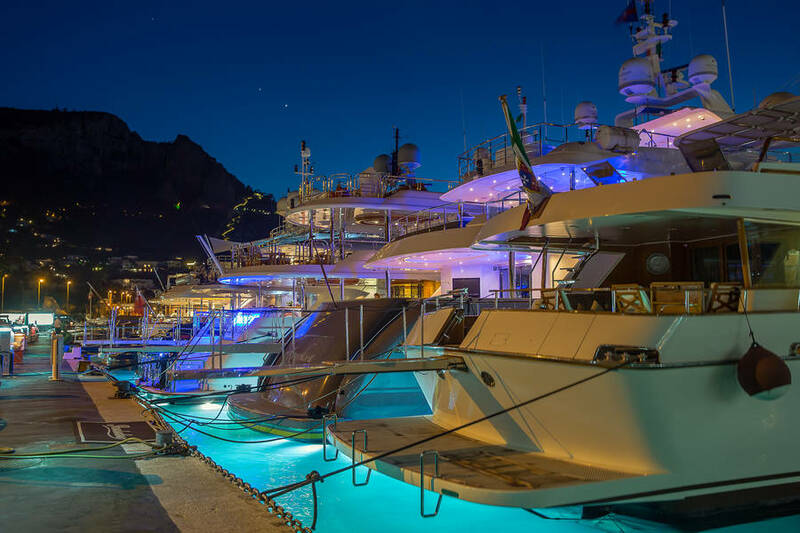 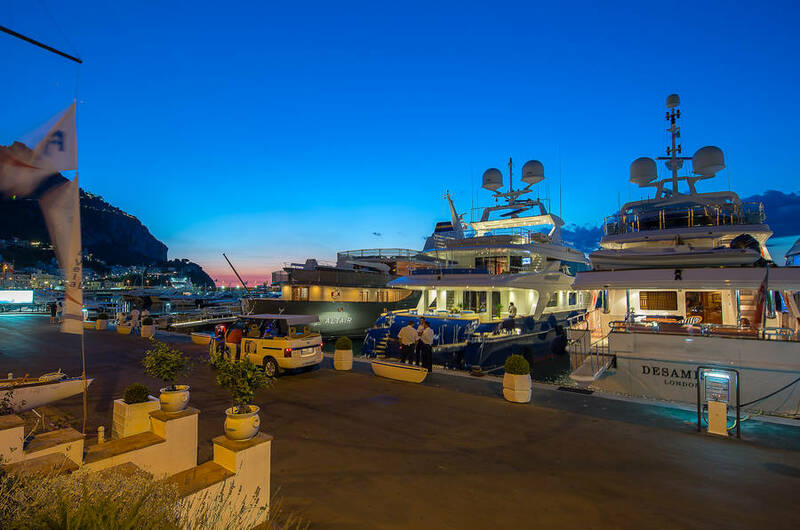 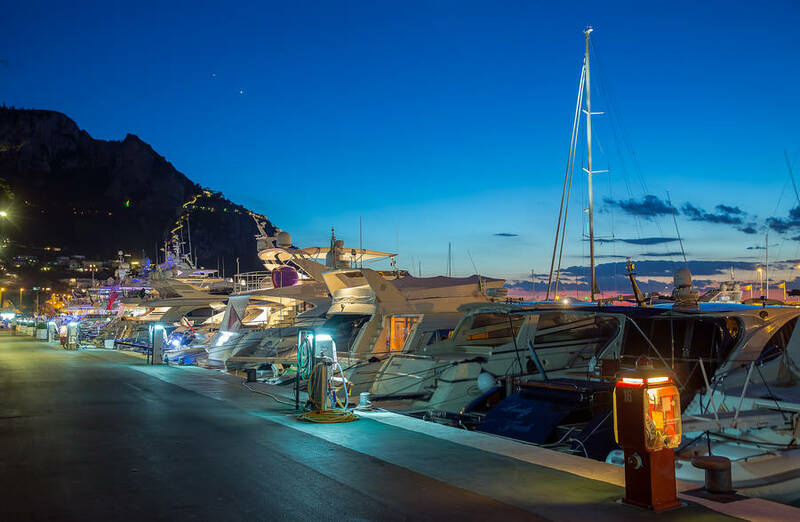 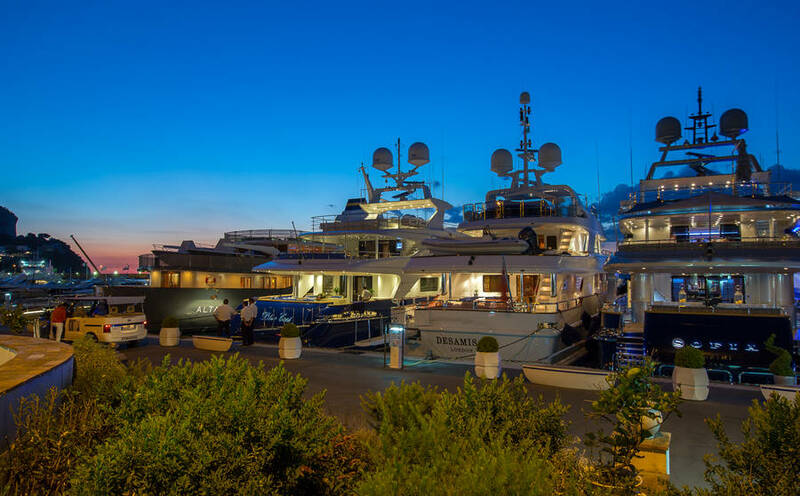 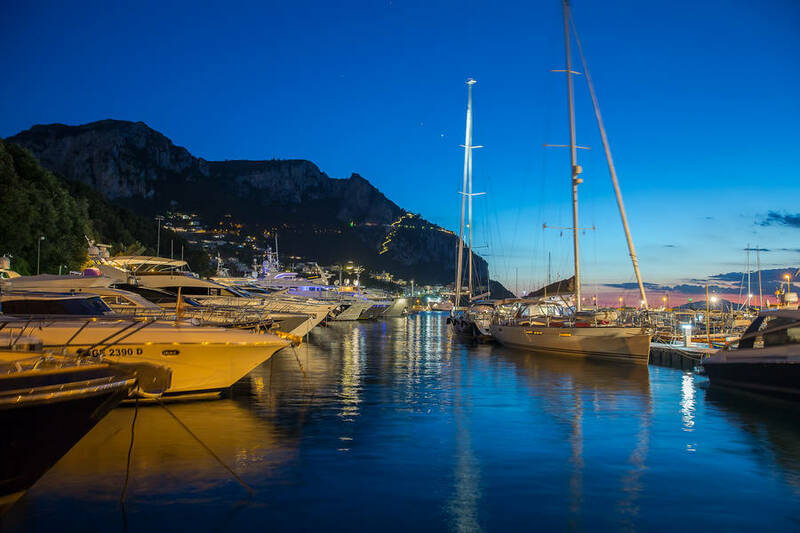 Once you have moored at the Marina of Capri, you can immediately take advantage of the modern and convenient marina services, from the 24 hour assistance and security to the wifi and restrooms. 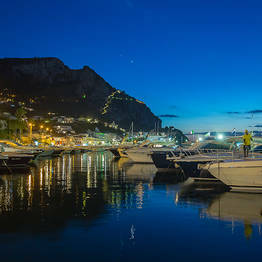 From the Marina of Capri, it's easy to reach the most famous sights on the island of Capri by land transportation; near the marina there is a bus terminal or, if you prefer private transportation, just steps away there is a taxi stand where the island's traditional open-top taxis can take you to your hotel, or you can head to the scooter rental office. 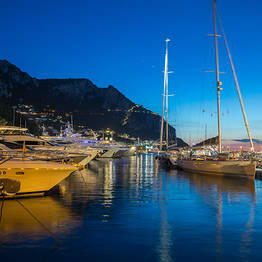 In just four minutes, you're right in the main square! 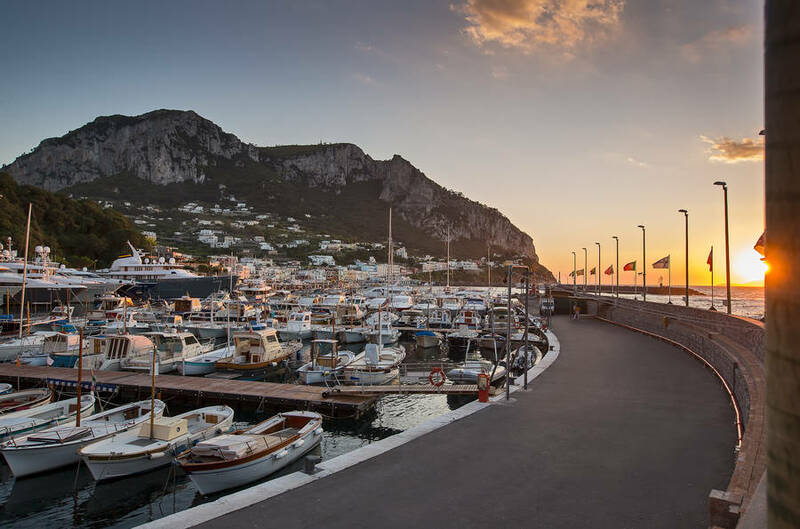 Take the funicular uphill to Capri's famed Piazzetta, with cars leaving every 15 minutes from the entrance to Marina Grande headed to the bustling heart of the island! 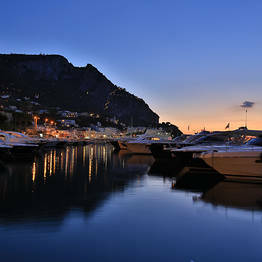 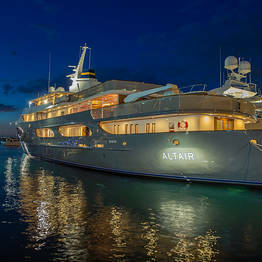 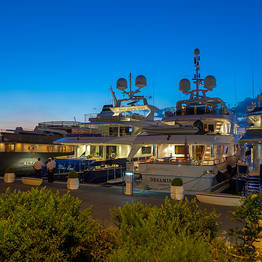 If you'd like to explore the most famous destinations in the Gulf of Naples, you are perfectly located. 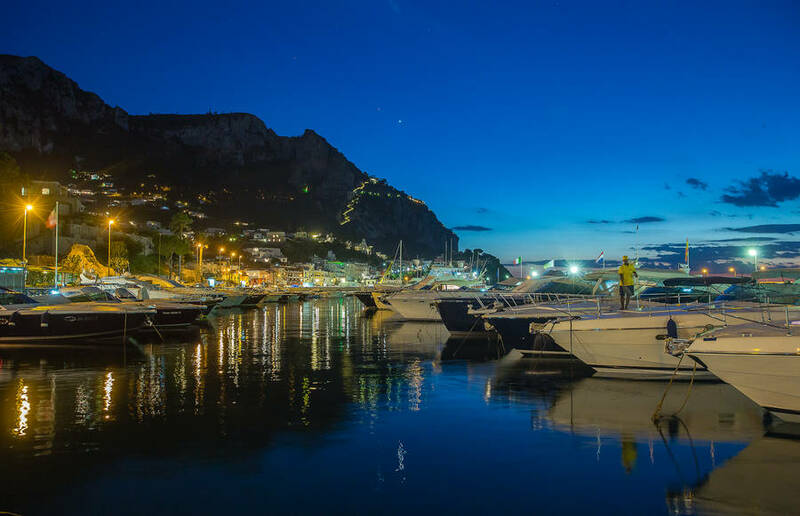 From the Marina of Capri, you can join an excursion to Naples and the Amalfi Coast, including Ravello, Positano, and Amalfi.